 I am a Mechanical Engineer by day and a Firebird CrossFit coach and athlete by night. As a kid I was a competitive gymnast and a traveling soccer player, so when I tried my first CrossFit class in March 2016, I instantly fell in love. I never thought I’d find one sport that could combine so many fitness aspects from two of my favorite sports. 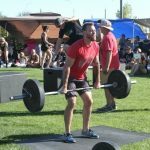 Even though CrossFit’s primary focus is to compete at an individual level, it also combines a supportive camaraderie that allows you to build genuine friendships. For me, these friendships have evolved into more of an extended family. 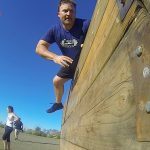 These two pieces are what got me hooked to CrossFit…or better yet, OBSESSED with it; so obsessed that I earned my Level 1 CrossFit Certification in August 2017, just a year and a half after taking my first CrossFit class. I thoroughly enjoy being able to help my Firebird Family push themselves to accomplish their fitness goals. There’s no better feeling than to see your athletes enthusiasm and gratefulness after mastering a difficult skill or seeing the painful happiness in their faces after a challenging WOD. Being able to see these accomplishments and knowing that I had a small part in them is what encourages and drives me to be a better coach.